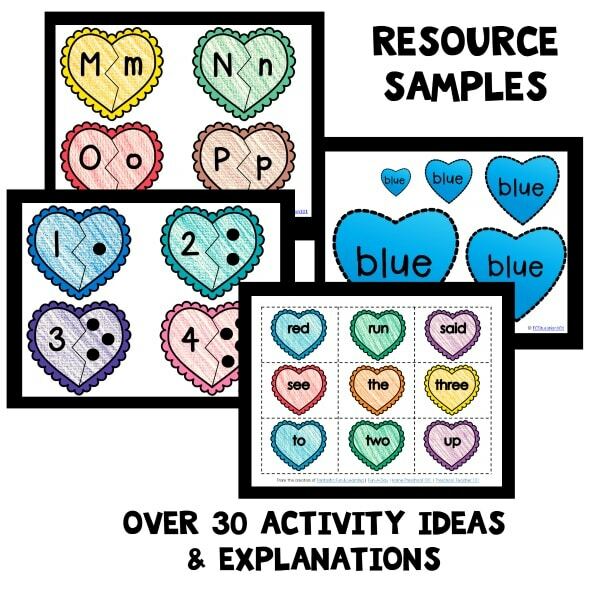 Candy hearts can be used for so many fun math and science activities. 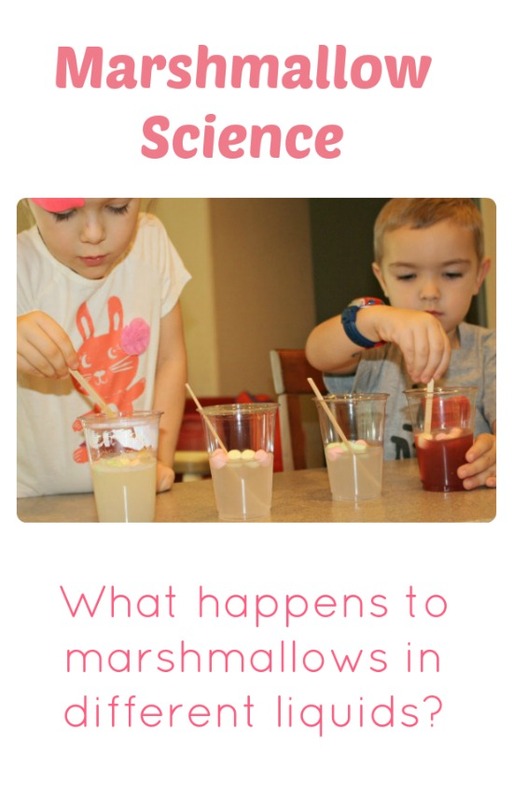 Yesterday while experimenting with candy hearts Lovey wondered whether they would dissolve and create a rainbow like our previous marshmallow science experiment. 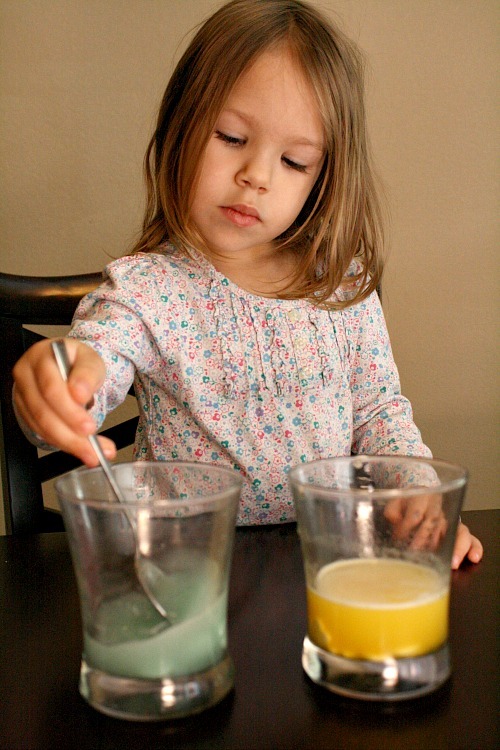 I loved that she remembered this experiment after all of this time, and I was more than happy to let her and Tinker experiment to see if they would find the same results. The girls started by sorting a stack of candy hearts by color. We didn’t have equal amounts of each color, so we just went with what we had. It was interesting to note the difference in amounts for each color. Some colors had a ton while others had only one. 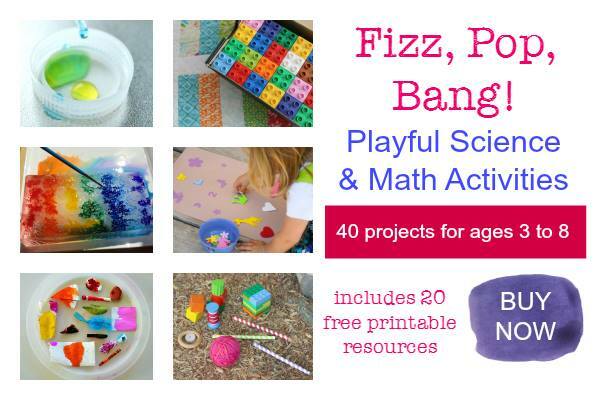 This incorporated a bit of math discussion about numbers and comparing amounts into our science activity. 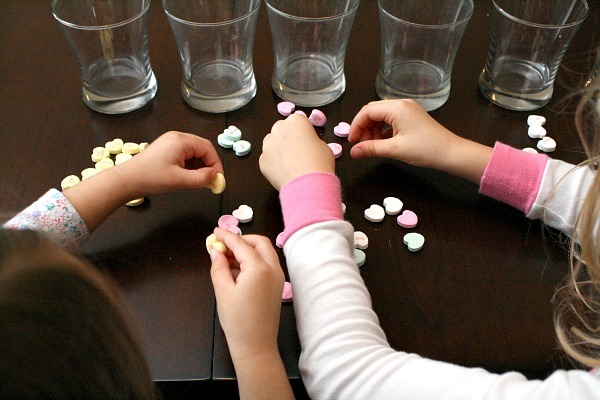 Then we poured hot water into each of the glasses, and the girls added their candy hearts (being careful not to touch the water). Then came their favorite part-the stirring! 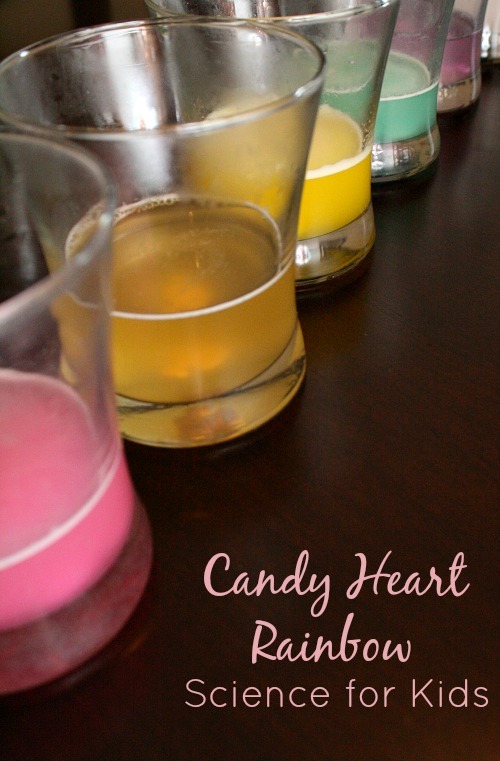 They stirred and stirred as they observed the changes in both the candy hearts and the water. Tinker loves to stir. She lingered long after her sister to keep stirring and watching. The girls were both pleased to see that the candy hearts did create a rainbow of color like we found with our marshmallow experiment. Lovey was surprised that the colors were even more vivid than the actual color of the candy hearts. 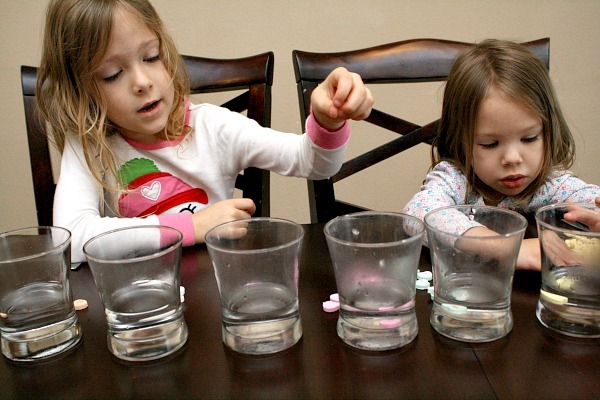 How’s that for simple and fun science for kids? 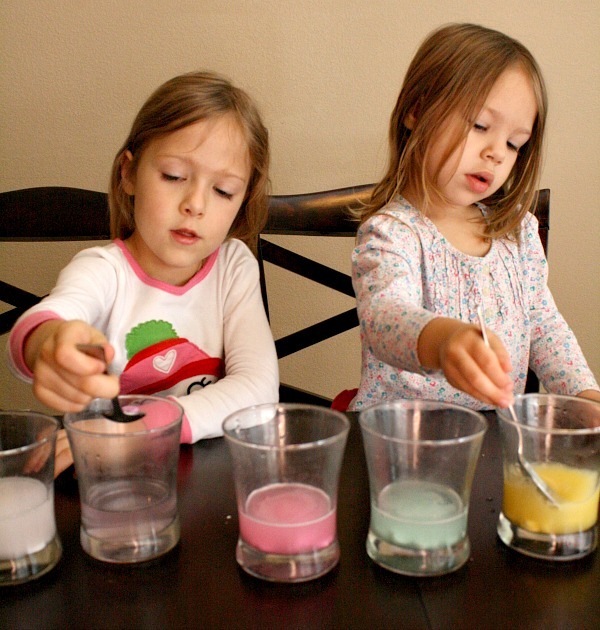 I wonder what science experiments they’ll come up with next! 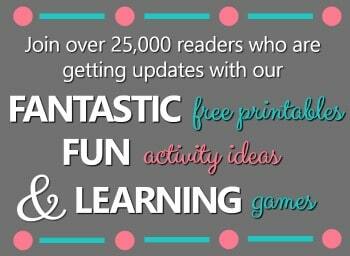 Great idea and lots of fun. Always on the look-out for great science ideas. You gotta love it when the ideas are coming from the kids! 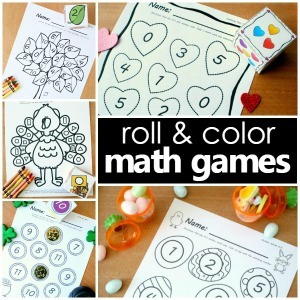 Simple wonderful exploration and fun. 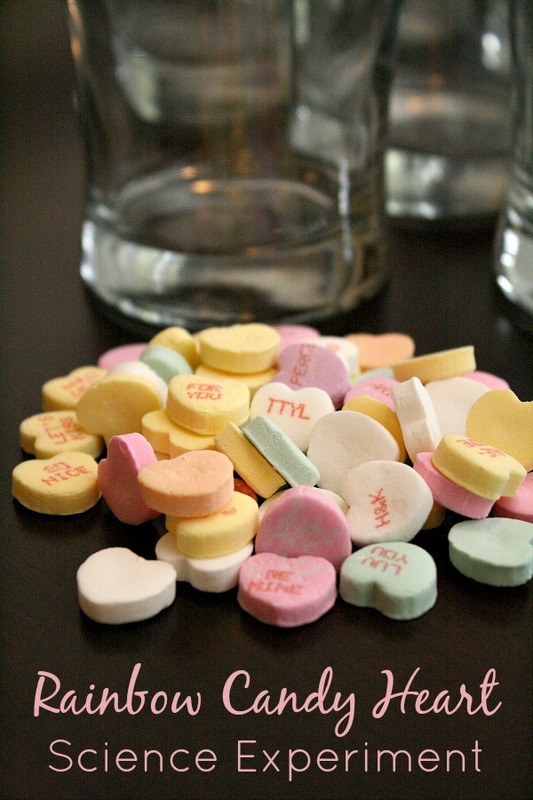 We waited too late this year to buy candy hearts. Not one bag left at the grocery store! Not even one little box. Imagine that. 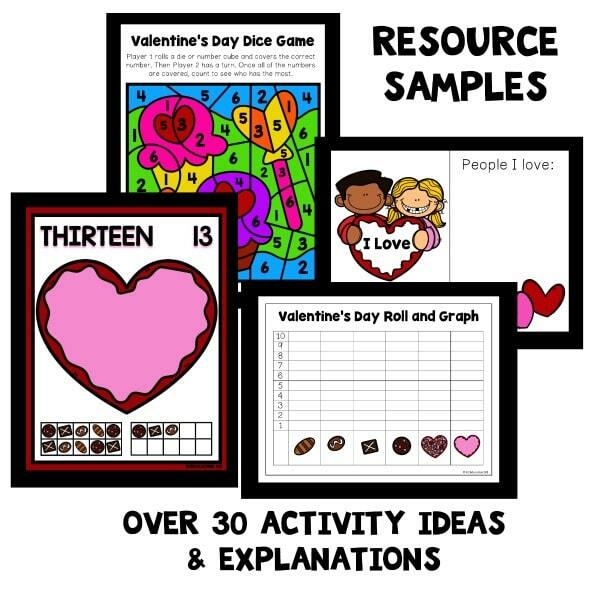 What a wonderful idea for a Valentine’s Day science experiment! 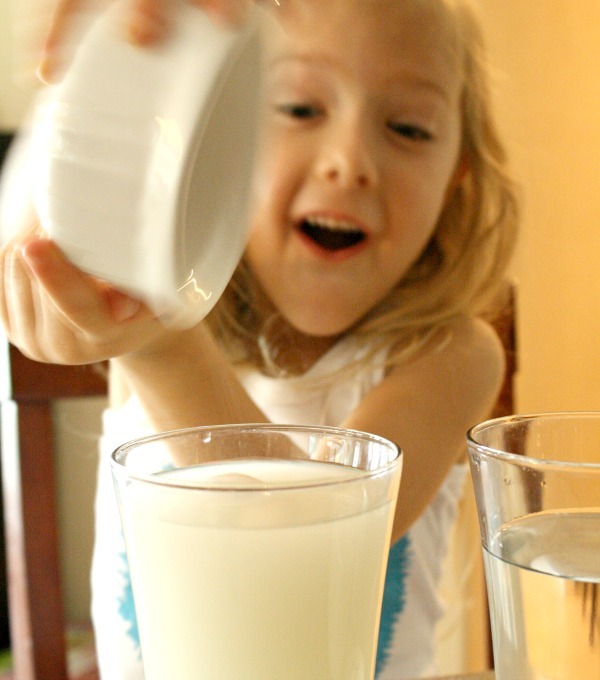 I’ll have to do it with my 4 yo who’s always begging to do science like her older siblings. Thank you.